Mini Album Archives - Page 9 of 9 - Pebbles, Inc.
Mini albums always get such a warm reception from our fans. 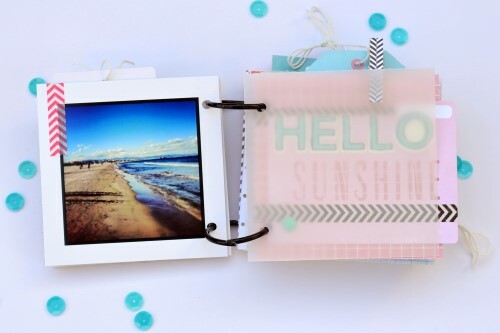 We suspect today’s gorgeous travel mini album put together by Design Team Member Marjan Pel will be no exception. It’s a great reminder of her amazing trip! Today I want to share my latest travel mini album about my trip to Valencia in Spain last year. 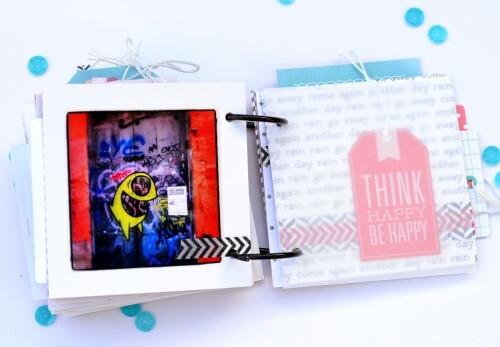 When I created this mini album I had a certain color scheme in mind. I wanted to use pastel colors and for a bigger contrast I needed black and white patterns too. The papers from the “Garden Party” line were just perfect for this job. 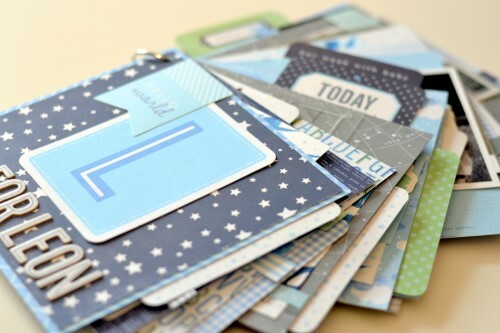 I used the pockets, inserts and die-cuts that come with the line to create the pages. 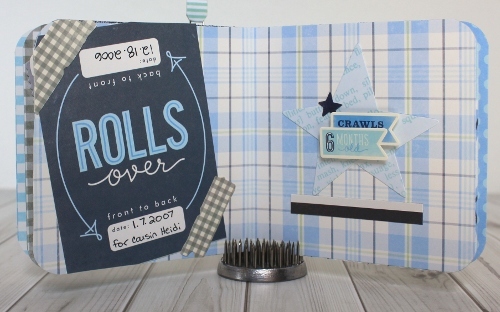 The clothes pins, Thickers and the enamel dots give the project a little bit of dimension. I took a lot of pictures in Valencia but I only wanted to use instagram photos for this travel mini album. 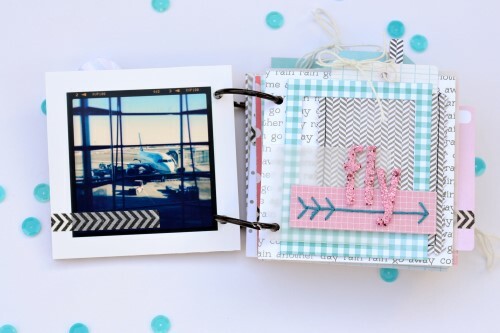 I printed the photos with a white border and embellished them with some Basics washi tape in colors which coordinate with the papers. I love stitching on paper projects lately so I stitched some cute arrows and a heart with the help of some Amy Tan stencils by American Crafts on some of the pages. 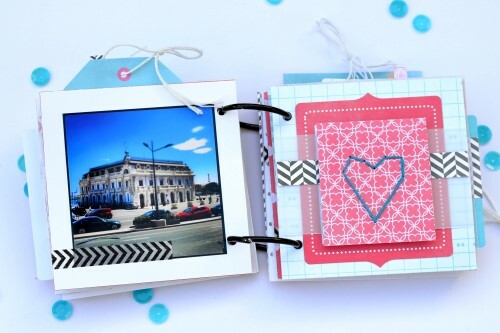 I am really happy with the result and want to make more cute travel mini albums as I love to travel to all the cool cities in Europe. I will visit Vienna in May and will go to Paris in July! 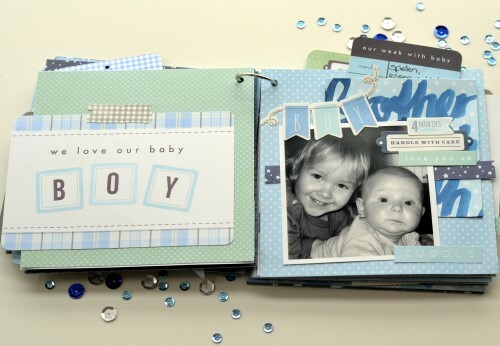 There’s nothing more fun than documenting all of baby’s firsts. 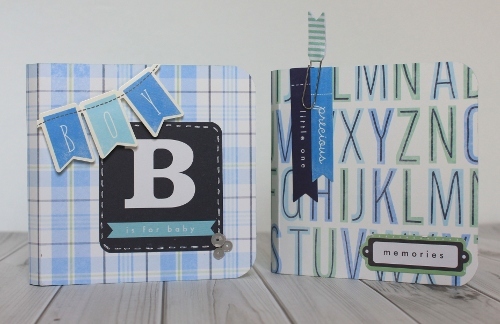 Stick around and check out the sweet baby boy mini albums Samantha Taylor created. 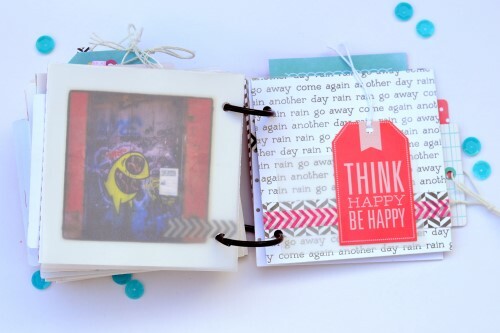 To keep these simple, I decided to put just the notes and dates into these albums. As you can see, there are no pictures. 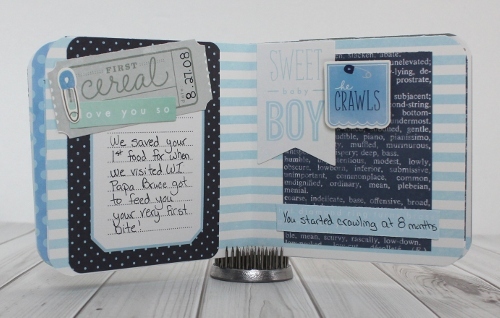 I went through my boys’ baby books and made a list of the moments I wanted to include for each album. I made sure they were in chronological order, and then I just dug into all the amazing papers, stickers and embellishments from Special Delivery. I created my covers first, and then worked through the albums one event at a time. 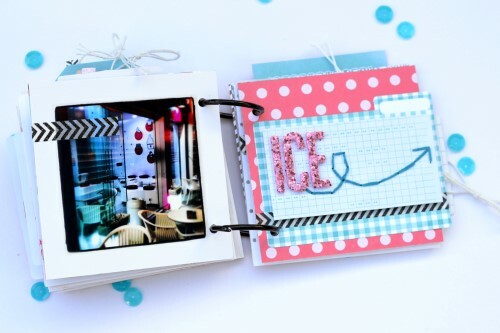 You can use any style of mini album to do this, but I chose a method called back to back mini album binding. 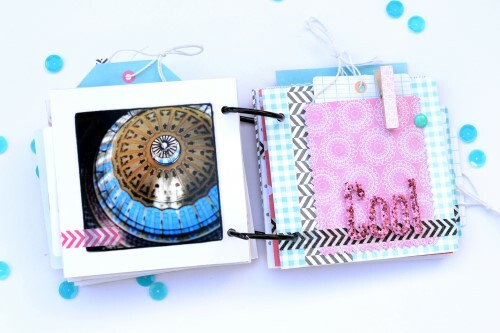 You can find a tutorial on how to put this kind of mini album together on my blog today. 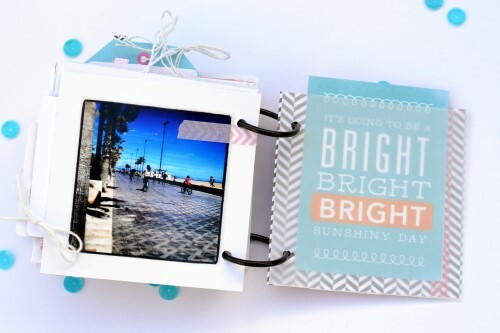 When you’re all done you’ll have some great memories all in a cute and compact book! 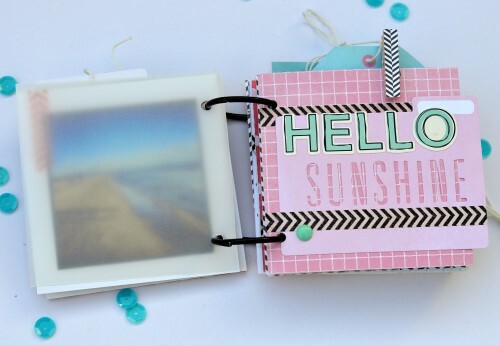 My finished books measure 4″ x 4″ and are less than 1/2″ thick. Looking for a little something special to brighten up your home? 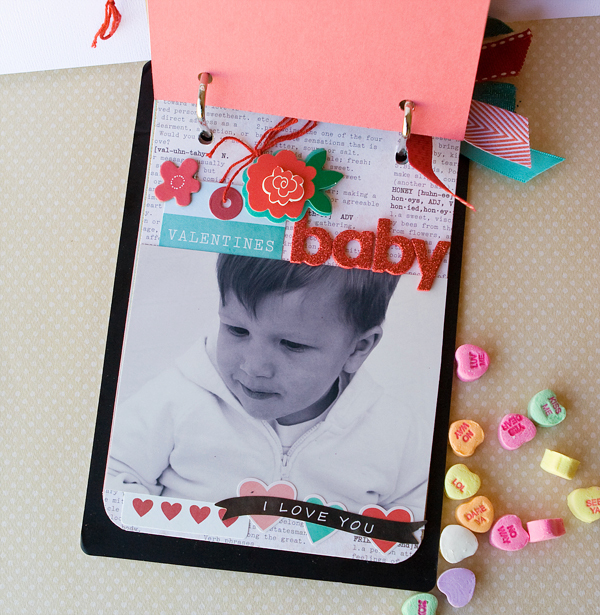 You can’t miss this Valentine’s Day mini album created by Designer Kim Kesti. 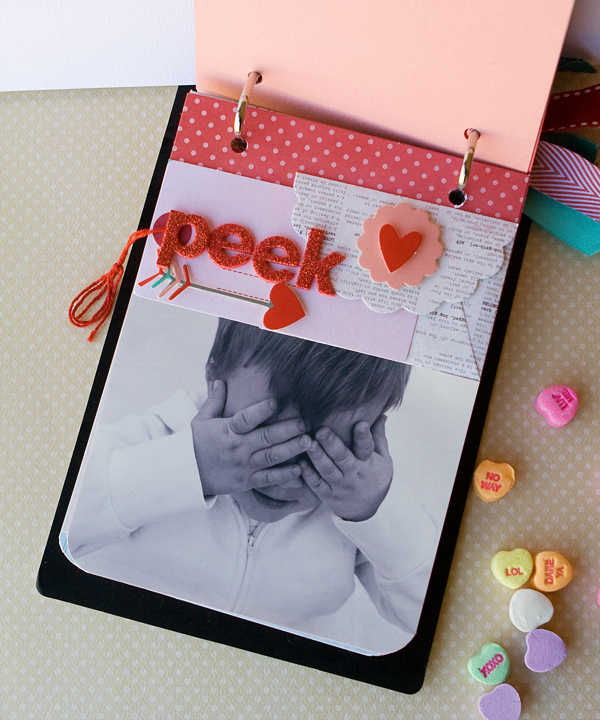 Don’t hide away those beautiful mini albums! 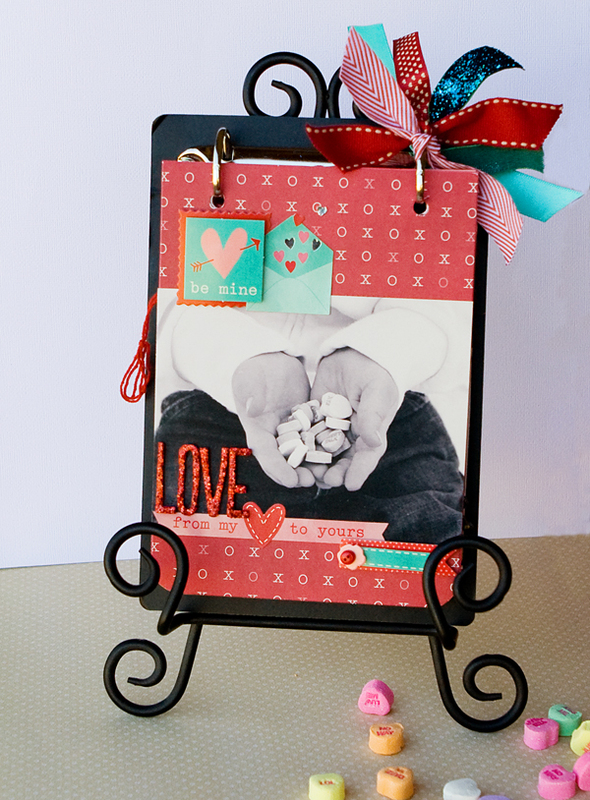 By displaying this album on a simple iron stand, I’ve created an instant piece of Valentine’s Décor. 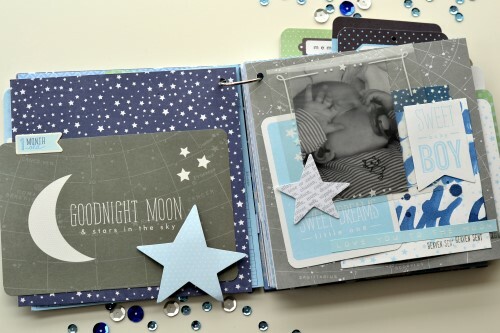 This album was so quick and easy to create because the clipboard and pages are all ready to go; just add photos and embellishments. Love that! We want to kick this day off with a super happy Halloween wish for you and yours! 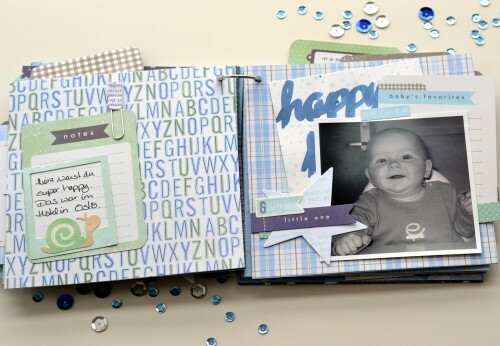 We’ve had so very much fun celebrating the Thirty-One collection with you this month. 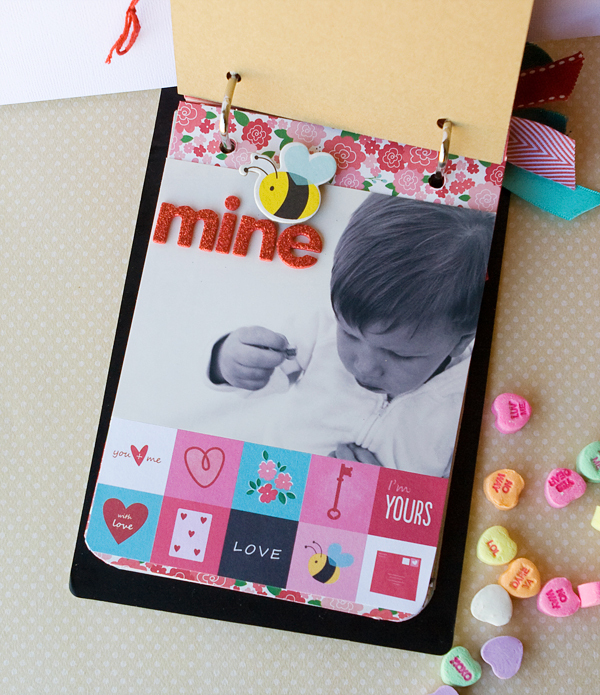 Be sure to bookmark our Pebbles Thirty-One collection projects for future crafting! Today we’re joined by Design Team Member Eva Pizarro, who’s from Brazil. 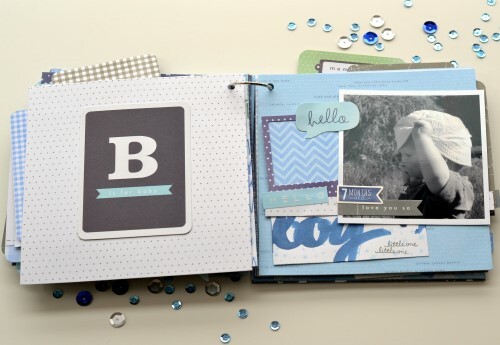 Her family doesn’t celebrate Halloween the way we do here in the U.S., so she’s actually going to show how you can take the basics from the Thirty-One collection them and extend them into regular use with a Thirty-One mini album. 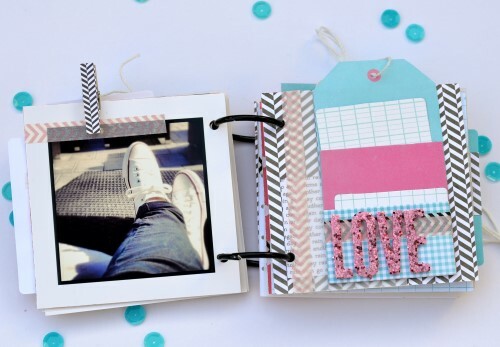 I have been wanting to create a black and white mini album for a while and the Thirty-one collection was perfect for my project. 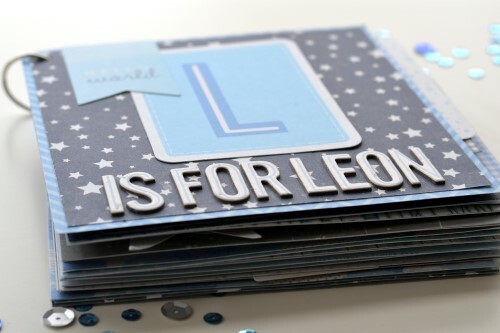 The designs are very versatile and you can use the collection for your Halloween and everyday projects. They are perfect for backgrounds as well! To do this mini I used all black and white supplies and the only color was given by colored thickers from the Basics collection and my photos.